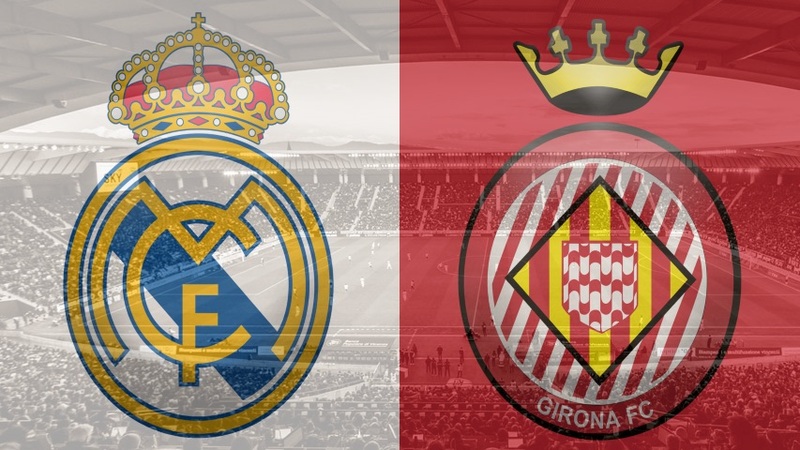 Real Madrid will be hoping to make it six La Liga wins in succession as they host to an out-of-form Girona, who are now without a win in 13 matches across all competitions. The hosts, who are now the division’s in-form side, are unsurprisingly favourites to win this match. Last time: Real Madrid have won all three games against Girona this season – winning 4-1 at Montilivi back in August before winning both legs of their Copa del Rey quarter-final in an aggregate score of 7-3. Real Madrid harbour hopes of a La Liga title push having won each of their last five matches in the division and are now back in second place. Those victories have included wins over Real Betis, Sevilla and Espanyol and most notably of all, a 3-1 win at Atletico Madrid in their last league outing. Girona are in a shocking rut of form – they are without a win in 13 games in all competitions and have lost each of their last six matches, including their Copa del Rey double header against Madrid. Eusebio Sacristan’s side are still one spot outside the league’s relegation zone, but their top-flight status appears increasingly precarious. Unsurprisingly, Madrid are heavy favourites for this encounter at odds of 2/11 with a Girona victory priced at 16/1 and the draw available at 13/2. These fixtures tend to produce a lot of goals with a massive 27 going in across the five previous meetings, so over 4.5 goals at 12/5 appears to be a solid bet with over 3.5 at 11/10. A ‘double chance’ on Girona to come away with either a draw or a win is available at 18/5 while a Madrid win/draw outcome is at 1/66. If you fancy the home side to be leading at both half-time and at the final whistle, such odds are available at 7/10 while Madrid to win both halves is at 5/4. One to watch for Real Madrid: Vinicius Junior has already netted four goals this season and is likely to start as Gareth Bale and Marco Asensio are once again likely to watch from the bench. The exciting forward is at 13/10 to find the net in this game. One to watch for Girona: Cristhian Stuani is already on 12 La Liga goals this campaign and scored twice in a 6-3 loss at Madrid last season. He is priced at an attractive 17/5 to score here. Long shot: Girona have failed to score in three of their last four matches and are without a win in 13, so will look to sit deep in this game. Odds of this game to finish scoreless are at 28/1.